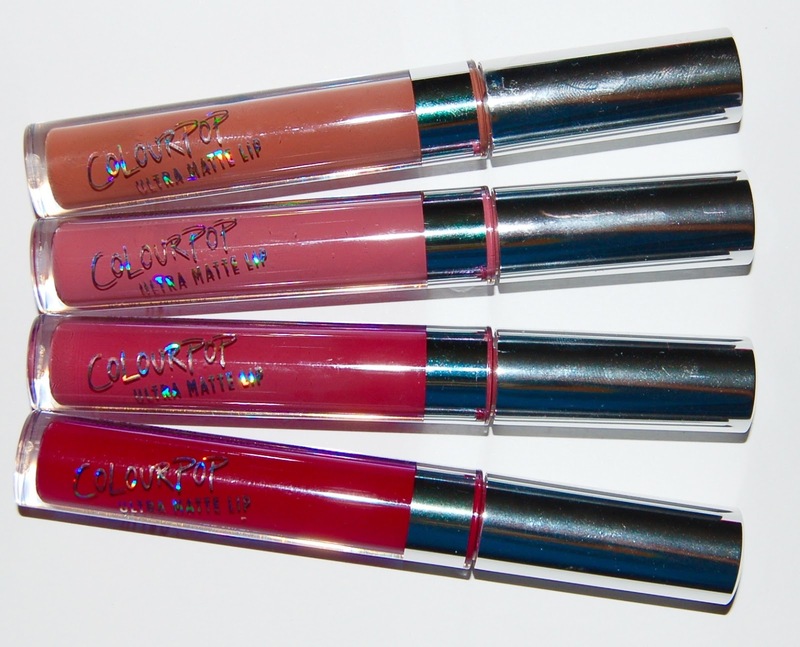 Today I bring you my second post on the ColourPop Ultra Matte Liquid Lipsticks. 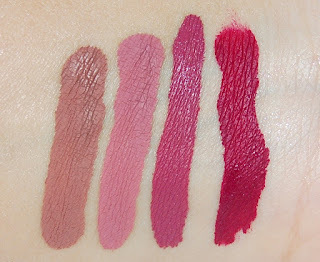 I already did a post on 5 of their original shades which you can read here. A little while ago they released a few new shades and just two weeks ago they released even more shades for the fall. Beeper and Clueless are from a release from a few months ago that had a 90s vibe and Bad Habit and More Better are from their new fall release. 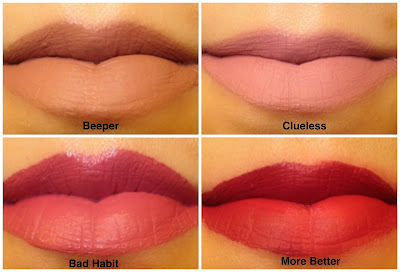 The new fall liquid lipsticks including Bad Habit and More Better are limited quantity. Unfortunately, they are both sold out right now but I think they will be restocked at some point with a limited quantiy. Here are my thoughts on these four new shades. I believe that ColourPop reformulated their liquid lipsticks because these feel less drying than their first batch. They also take a little longer to dry once applied. Beeper is a brownish taupe. 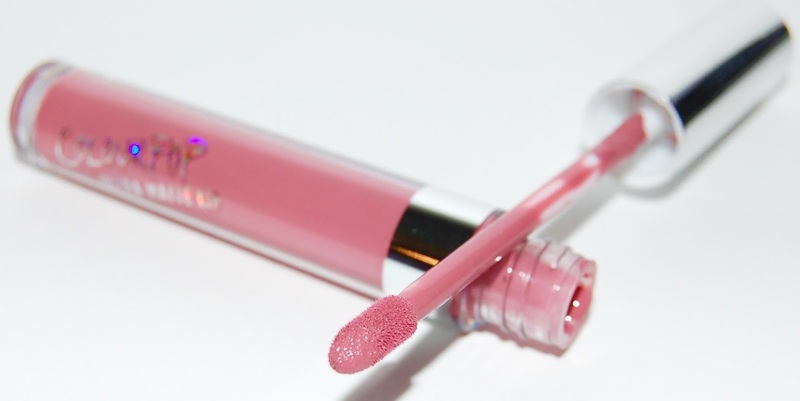 Clueless is a light dusty mauve pink. Bad Habit is a darker and more magenta mauve pink. More Better is a deep violet wine shade. As I said in my previous post, these liquid lipsticks are in fact, ultra matte. They don't look or feel as drying on my lips as the 5 I purchased when these were first released. However, they do look pretty dry. 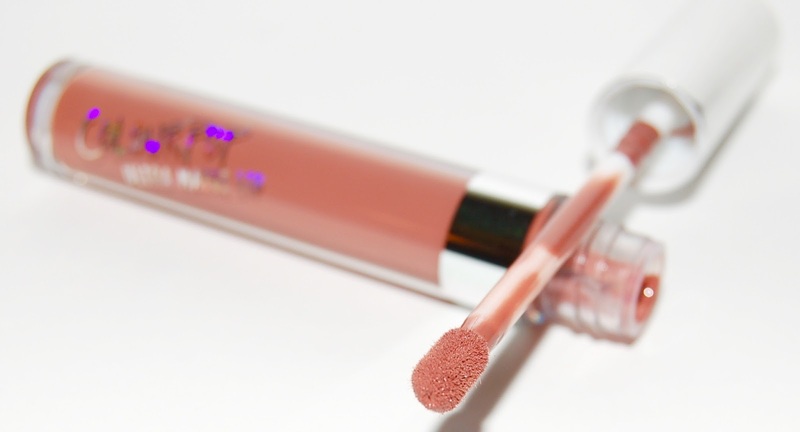 I like to top them with a gloss and I often use my Murad Lip Primer underneath which helps quite a bit with the dry look. I can honestly say that I love how all 4 of these shades look on me which is rare! It's hard to pick a favorite but if I had to, it would be Bad Habit. 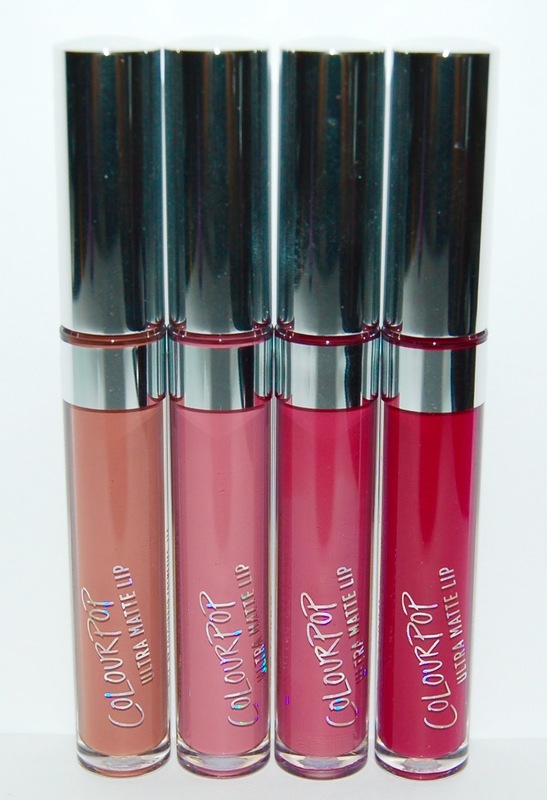 You can purchase the ColourPop Ultra Matte Liquid Lipsticks on the ColourPop website. Although these are super dry on my lips, I still love them because they are only $6, you can't beat that! I also love the huge color range available and that they last a very long time. 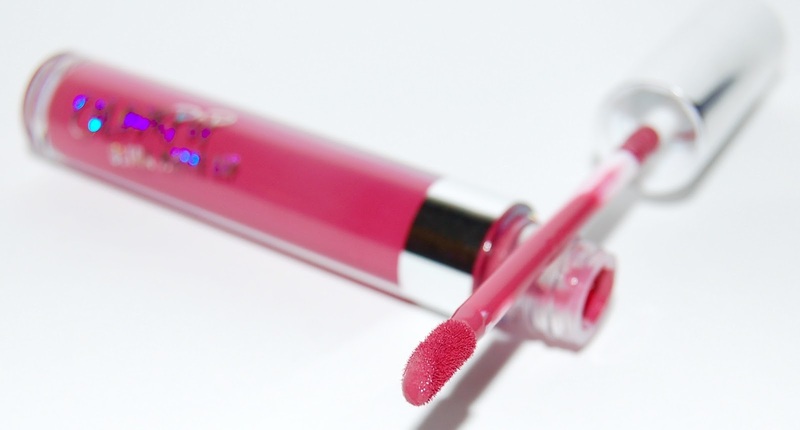 Have you tried these liquid lipsticks yet?